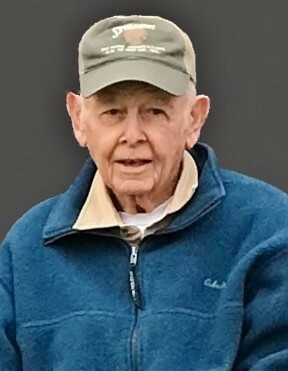 Mr. George Elmer “Buck” Walters, 89, resident of Onancock, VA, walked graciously into the arms of his late wife, Beverly Ann Johnson Walters, on Thursday, January 17, 2019. Born December 28, 1929 in Baltimore, MD, he was a son of the late Samuel E. Walters and Elizabeth Ann Busick Walters. Following high school, Buck served his country in the United States Navy, specializing in aerial photography. Upon discharge from the military, he worked as a professional photographer for a few years, specializing in youth photography. Although, he enjoyed photography, Buck found his true calling as a certified land surveyor. In 1958, he joined his brother’s firm in Mathews County, VA, and for more than a decade “El” and Bill worked side by side. Over the next few years, Buck was the head of the land surveying program for an engineering firm in Stafford, VA. In 1971, he and Charles “Chuck” Cooley joined forces as coproprietors of Shore Engineering Company, in Melfa, VA, and together, they built a successful business providing the Eastern Shore of Virginia, Maryland, and Delaware with engineering and surveying services. Buck was a longtime member of Holy Trinity Episcopal Church and served three terms on the Town of Onancock’s Planning Commission. He often spent his down time researching land deeds, which is a testament to the passion he had for his work, and he also enjoyed woodworking. Though he had many talents, his greatest gift was his ability to make everyone feel at ease. Buck was quick to deliver one of his many catchphrases, which were always followed with laughter. His presence will be greatly missed by loved ones, but they will forever cherish the incredible father, grandfather, brother, and friend that they knew and loved. Buck is survived by his loving children, Joseph Walters of Salisbury, MD and Kimberly Garton of Onancock; his brother, William E. “Bill” Walters and wife Mae of Cobbs Creek, VA; three grandchildren, Elizabeth Gravenor and husband T.J., and their children, Trinity, Tristan, and Brayden, all of Hebron, MD, Sarah Walters and Warren, and their children, Warren and Andrea, and Ian Walters and Daizie, all of Salisbury; and countless friends and associates. A memorial service will be held at Holy Trinity Episcopal Church, in Onancock, on Saturday, January 26, 2019 at 11:00 a.m., with The Reverend Berkley Ford officiating. Private family interment, with military honors, will be held at the Fairview Lawn Cemetery. In honor and appreciation of the exceptional care Mr. Walters received, the family requests memorial contributions be made to John B. Parsons Community Living, 300 Lemmon Hill Lane, Salisbury, MD 21801,to Coastal Hospice, P.O. Box 1733, Salisbury, MD 21802, or to Riverside Shore Memorial Cardiac Rehab (payable to RSMH Cardiac Rehab), c/o Pamela Parker-Dix, P.O. Box 430, Onancock, VA 23417.